We’re excited (and maybe a bit overwhelmed!) to be back in the full swing of summer on the farm. It’s hard to believe we’re harvesting again; we only had about a month break between the last chard in Tunnel 2 and the first harvest for May Share. Despite the crazy weather swings over the last few weeks, from frosts to 95 degree days, everything is looking beautiful and bountiful, especially the arugula, kale, mustard mix, Tokyo Bekana heads, and radishes. After recovering from two successful (if slightly soggy!) plant sales, we’ve been madly planting the last few weeks to get the longer season summer crops, like peppers, eggplant, and winter squash, in the ground. With the start of the full CSA just around the corner, we’ll be working longer days and are excited to welcome our three interns for the season- Sarantia, Liz, and Fiona. We’re also looking forward to having Workshare members back in the fields to help with harvest and weeding projects and appreciate those of you who have jumped in early! With the start of distributions we’ll also begin our weekly Food Share donations. Our goal is to donate 20% of our produce to organizations and families who do not have access to fresh, healthy food. Our list of partner organizations is up to 15 this season! 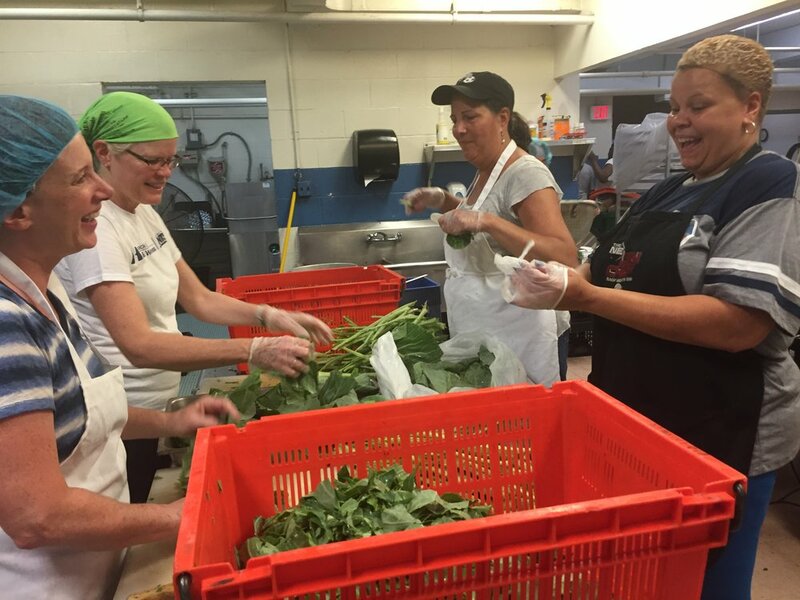 We’re grateful for financial support from United Way and Community Foundations of the Hudson Valley, and we are very appreciative of Workshare members who deliver produce and the partner organizations who work to incorporate the fresh produce into their pantries and meals. Many institutions want to use more fresh produce but struggle with the added cost and prep time. 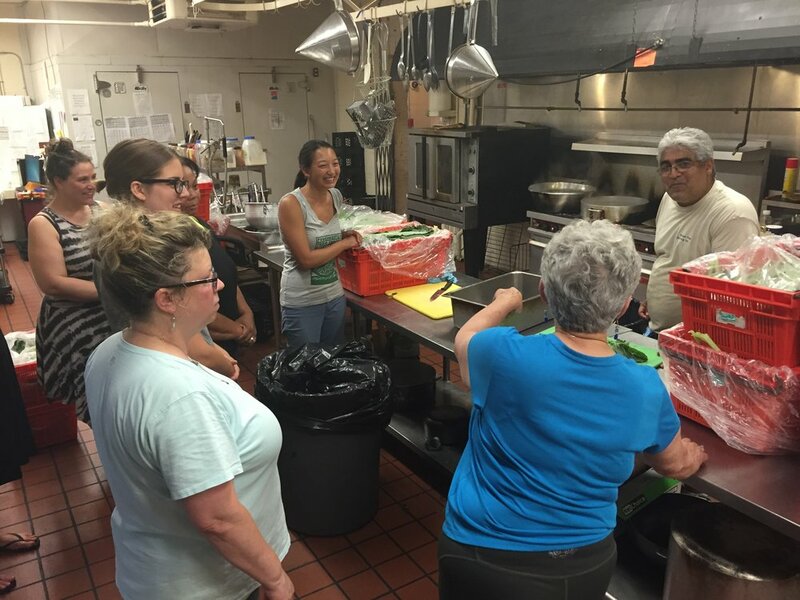 Last year we started the Green Machines program to allow PFP members to do their Workshare hours at the Lunchbox or Hudson River Housing. 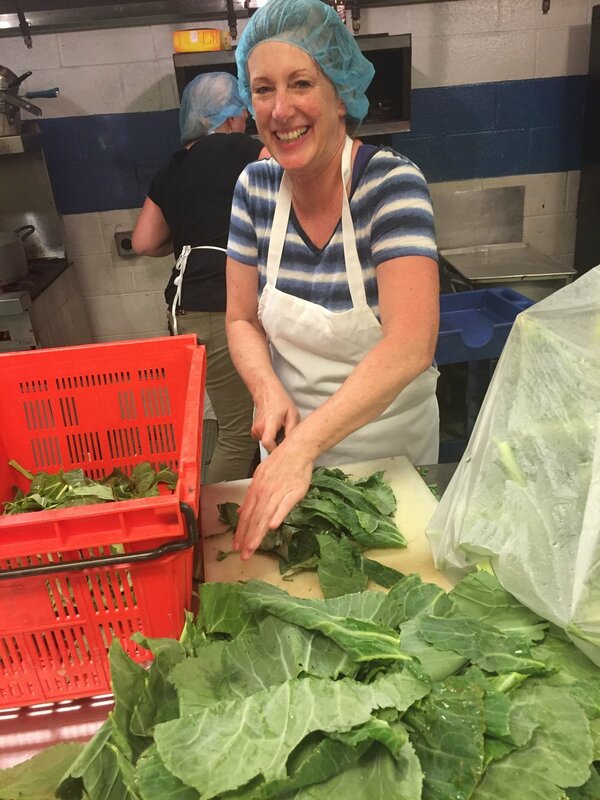 Members help prepare greens, often blanching and freezing them for later use, or assist with other kitchen activities. This is a great option if you have challenges with sun, heat, or kneeling in the field, so check for an announcement from German: we’ll post these shifts on Sigunup.com in the next few weeks. It’s an exciting time to be on the farm just on the cusp of summer, and we’re looking forward to sharing the bounty with you and the wider community!